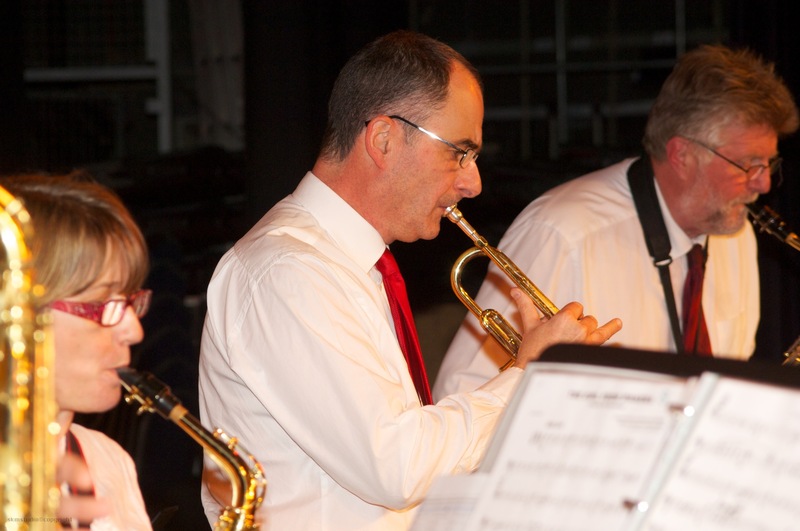 We were formed in 2006 and have an active membership of around 15 musicians playing a wide range of jazz and jazz inspired music. New members are always welcome and we believe that we have a role to play in being a part of, and helping, the community through playing music. We play around a dozen gigs a year and have played for the Mayor of St Albans at the Annual Charity Ball and at many other events run by local and national charities. As a charity ourselves we are non-profit making and fund ourselves through small subscriptions and the occasional donation. The band is part of the BeauSandVer Community programme run by three secondary schools in St Albans and we are very grateful for the support we get from these schools. The band is a member of Making Music, an organisation supporting many small music groups in the UK. I must thank you and your fellow musicians for such a super performance at the BBQ yesterday. Your music certainly made the afternoon so enjoyable and I am sure led to so many buying raffle tickets! Many thanks for the music at the Charter Night and I hope your fellow musicians enjoyed it as much as our Club and guests did, we appreciate your contribution to the night's enjoyment.